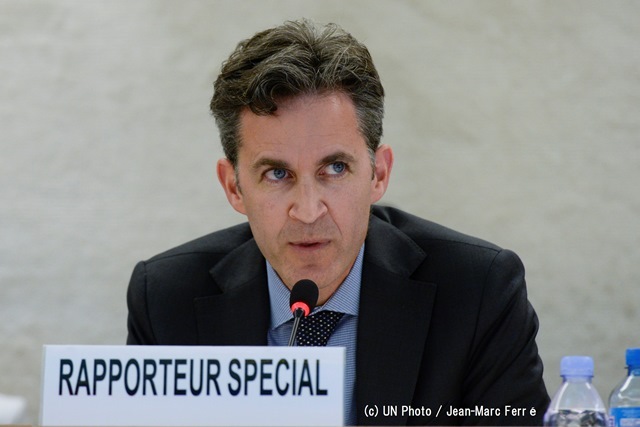 UN Special Rapporteur on the right to freedom of opinion and expression, Mr. David Kaye, expressed concerns on undue restrictions on public protest and dissent in Okinawa, in his report released today. The report is an outcome of his first official visit to Japan in April last year. In his comprehensive report on wide-ranging issues of freedom of expression in Japan such as: media independence; interference in the communication/ expression of history; access to information; discrimination and hate speech; and restrictions on election campaigns, the Special Rapporteur dedicated whole two paragraphs to address the situation in Okinawa as below. Based on the concerns above, the Special Rapporteur issued a following recommendation to the Japanese government.